Increasing competition, lower margins and a need for scale are continuing to drive hospital merger and acquisition (M&A) activity, according to a new infographic by Agiliti. 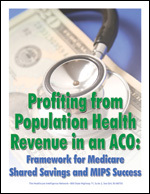 The infographic looks at three ways hospitals can improve post M&A integrations and outcomes. 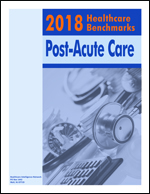 Archiac processes and inefficiencies in non-emergency medical transportation (NEMT) are common in the healthcare ecosystem, according to a new infographic by Acuity Link. 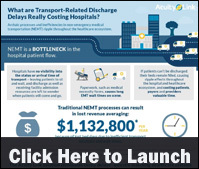 The infographic examines why NEMT can be a bottleneck in hospital patient flow. 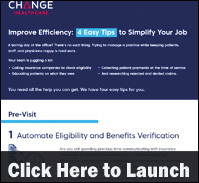 Posted in Healthcare Administration, Healthcare Costs, Healthcare Trends, Hospitals, Infographics | Comments Off on Infographic: What are Transport-Related Discharge Delays Really Costing Hospitals? 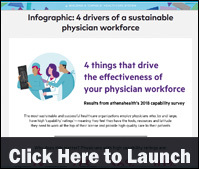 Trying to manage a physician practice while keeping patients, staff, and physicians happy is challenging, according to a new infographic by Change Healthcare. 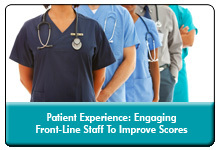 The infographic examines how practices can improve efficiency both pre- and post-visit. Weather events are the biggest safety concern for healthcare executives and are the second most common incident reported within the last two years, according to a new infographic by Rave Mobile Safety. 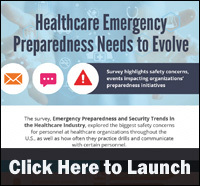 The infographic examines healthcare executives’ top safety concerns by healthcare executive role and modes most frequently used to communicate with employees during workplace emergencies. 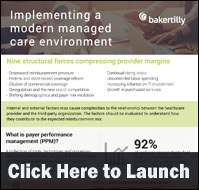 There are several structural, downward pressures on providers’ margins, according to a new infographic by Baker Tilly Virchow Krause. The infographic examines these nine factors as well as how providers can respond to these impacts. Infographic: How Much Referrals are Costing You? 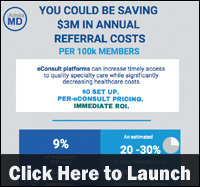 More than 70 percent of routine specialist referrals can be done by an eConsult, according to a new infographic by AristaMD. 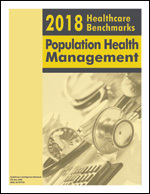 The infographic examines the impact of referrals on healthcare costs and timely access to care. 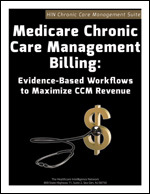 Under CMS’s “Pick Your Pace” choices for Year 1 Quality Payment Program participation, physician practices may opt for the minimum activity necessary to avoid a payment penalty in 2019 by simply submitting some data in 2017. However, instead of delaying MACRA participation to the later part of this year, physicians should prepare and better position themselves today for MIPS success by analyzing their existing CMS data on their practices’ performance and laying a path now toward performance improvement. 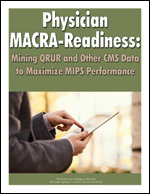 Physician MACRA-Readiness: Mining QRUR and Other CMS Data to Maximize MIPS Performance describes the wealth of data analytics available from the CMS Enterprise Portal–Quality Resource Use Reports (QRURs) and other reports providing a window into practice performance under the Merit-Based Incentive Payment System (MIPS). 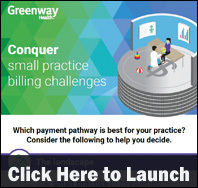 MIPS is one of two MACRA reimbursement paths and the one where most physician practices are expected to align. 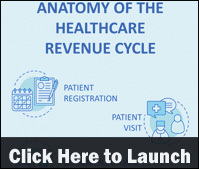 Posted in Healthcare Administration, Healthcare Trends, Infographics | Comments Off on Infographic: How Much Referrals are Costing You? 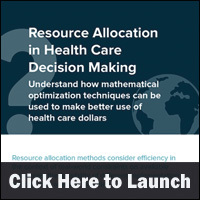 Resource allocation methods use mathematical optimization techniques to identify the allocation of healthcare dollars between a set of alternatives, according to a new infographic by RTI Health Solutions. The infographic examines how different players in the public health and healthcare system benefit from resource allocation methods.